Labor Day weekend is in the rearview mirror and school is officially in session! And what two things go better together than students and coffee? If you’re a new student in the Denver, CO area, or if you’re looking for a new study spot, check out our list of the top cafes and coffee shops near Golden, CO! Bean Fosters offers customers a comfortable and cozy shop with a friendly staff, ample seating, a great selection of books and some incredible views of the mountains! What a place to relax! In addition to the comfy interior, Bean Fosters offers a large menu of tasty treats and meals (incuding vegetarian options) and so much more to compliment the menu of delicious coffee drinks! Cafe 13 is the perfect go-to spot for your morning cup of coffee! This is a great spot to grab a bagel with lox and cream cheese or a delicious breakfast sandwich – check out the gluten-free bread options, as well! The small cafe is open daily and offers ample seating which makes for a great combo lunch-study location! If you’re looking for the perfect space to study and sample some of the most unique coffee options, Hello Coffee in Lakewood is the perfect spot! There are lots of spots to sit both inside and out, and the extremely friendly staff is trained to make some of the most delicious crafted coffee and tea concoctions you can imagine! Don’t forget to sample some of the delicious local food options, including fresh pastries and even breakfast burritos! 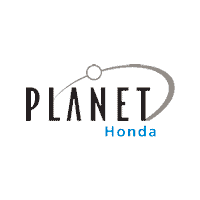 Planet Honda is proud to call Golden, CO home! We’re proud to serve the Denver community and help with any Honda or service needs! Contact us or stop in and talk to a member of our friendly team to learn more!